G-Force offers the highest quality original designs and sculptures at affordable prices. We can do everything from model kit design to finished prototypes. G-Force employs the talented Anthony Veilleux, who is an exceptional sculptor and painter and has been sculpting for many years. He has created spectacular pieces for G-Force and other model kit companies. He is also an accomplished SPFX makeup and Tattoo artist. Anthony's work includes The Old Gullers' Daughter, The Goblin King, Bast, Vincent Price and the Gamorean Guard. His most recent work, the incredible Sayer of the Law from the Island of Dr. Moreau, is G-Force's first officially licensed model kit. We also use the talents of Ian Dickson and Scott Herel, who are also experts in their fields. If you have an idea you would like to see as a model kit or a sculpture you have created, please contact G-Force for a quote. We are always looking for new innovative ideas and talented sculptors. 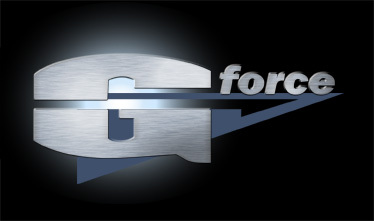 G-Force offers extremely high quality molds and castings at affordable prices. Using top of the line silicone rubber and vacuum technology, G-Force produces bubble free molds that are durable and accurate. Molds can be made from almost any sculpture, but a fully prepared master is better. Using high quality resins and pressure casting equipment, G-Force produces 99% bubble free castings from any supplied or in house molds. Just send us your molds and we can start casting your piece, or we can make new molds from an old casting to keep your finished quality high. For mold and casting prices, please contact G-Force for a competitive quote. Prices vary depending on size, difficulty and re-molding. You now own that model kit that you have been longing for. G-Force offers you several choices to get the finished look you desire. We have several award-winning painters available to serve you. Whether it is a role-playing miniature or a 4-foot Predator, we can handle the job. We can paint to your specifications or create an original design, and ship it anywhere in the world in a custom built container. The Model Mania video series and Explorations in Painting are excellent videos offering painting tips, styles and techniques. G-Force also stocks a plethora of books and magazines such as Amazing Figure Modeler, Modeler's Resource, Kitbuilders and more. All have an abundance of information on building and finishing model kits.